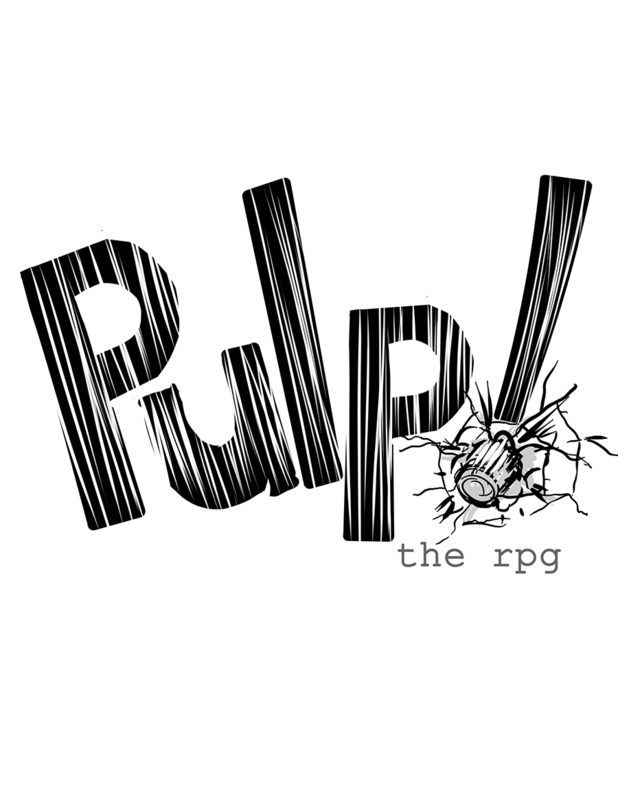 Pulp! is a rules light role playing game designed to facilitate fast, creative play. Players control powerful heroes from the very beginning, with no leveling system, so you always have all your options available to you. The mechanics are tight and to the point, allowing a player character or monster to easily fit on a sticky note. Once you get playing you’ll have the core system mastered in short order, allowing players to create new character in minutes and GMs to draft new challenges on the fly. The core of Pulp!’s fast game-play is a single six sided die (better known as a d6). When you want to do something that is more than mundane you roll a d6, then add an Ability Modifier and one Trait or Asset. Compare that number to a Difficulty set by the Game Master or an opposed roll. To help create big action on the fly, the d6 also helps produce special circumstances related to your action. Roll a 6 on the die and Achieve Outstanding Success, performing so well you gain an additional benefit greater than what you hoped to achieve. Roll a 1 on the die and you’ve cause a Complication. These add new elements to the scene that make things more difficult, but usually only fr a short time. That means on every 1 out of 3 rolls, something interesting is sure to happen. That’s just the way we like it in Pulp!, fast and exciting. Includes a 2 Page copy of the core rules and a pocketmod edition.